The N.N. 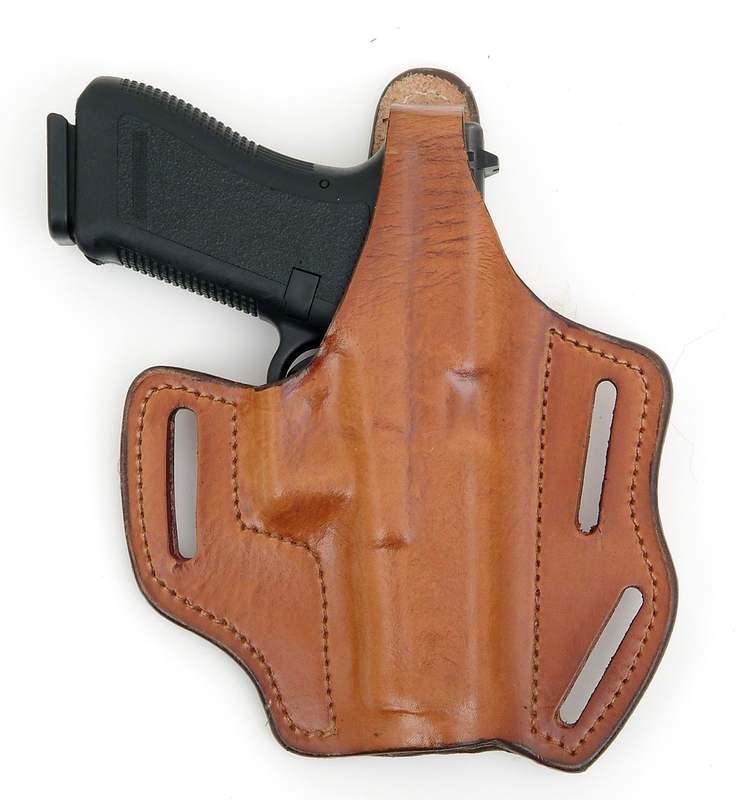 holsters are built with a multi-layer construction. 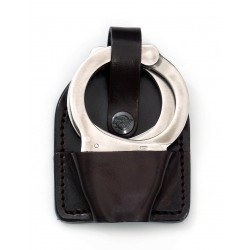 Each holster has an inner layer of velvet to protect the gun's finish. 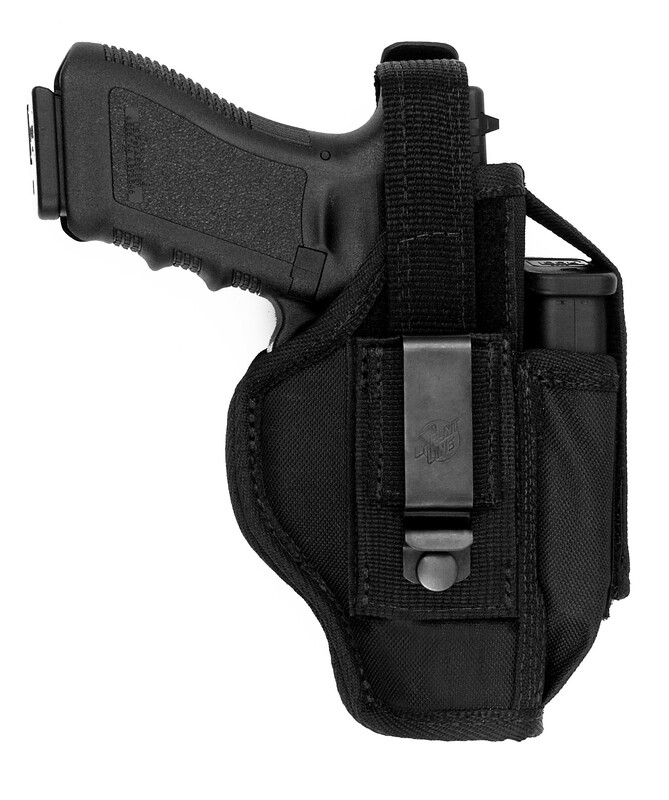 The center layer is a foamed polyethylene to protect the pistol against impacts. 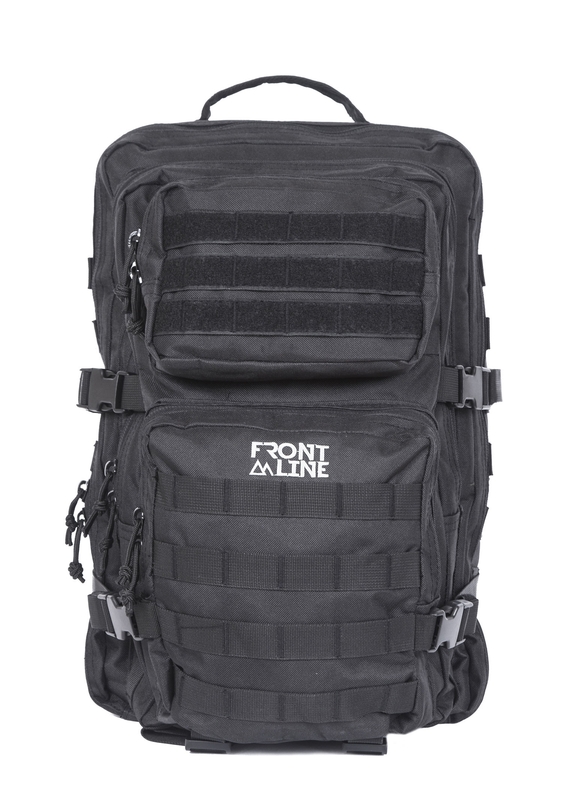 The outer layer is Cordura. 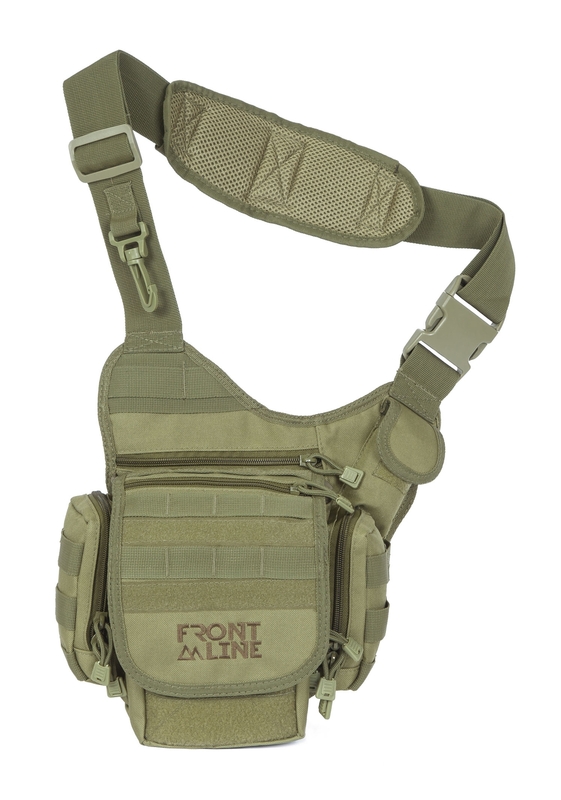 These are tough nylon holsters, available for wide range of gun makes and models, for both right & left handed shooters. 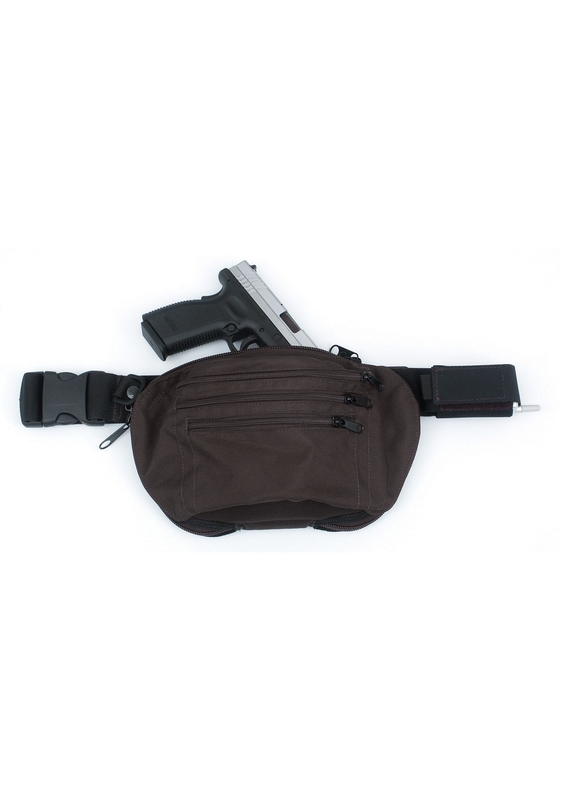 Beretta 8000, Beretta F92, Beretta PX4 4", Bul Cherokee Com. , Bul Cherokee FS, Bul Impact, Bul M5, Bul Storm, C.Z. 75, C.Z. 75 compact, C.Z. 75 P07 Duty, C.Z. 75D compact, C.Z. 99, C.Z. P-09 (long), C.Z. Shadow2, C.Z. SP01 Phantom , C.Z. SP01 Shadow, Colt Commander 1911 3", Colt Gov. 1911 5", F.N. HP 9mm, Glock 17/22/31, Glock 19/23/32, Glock 26/27/28, Glock 30, H&K P2000, H&K P30, H&K P7/13, H&K USP , H&K USP Com, H&K USP Expert, Jericho/Baby Eagle Polymer FBL, Jericho/Baby Eagle Polymer PL, Jericho/Baby Eagle Polymer PSL com, Jericho/Baby Eagle Steel F, Jericho/Baby Eagle Steel FS, Jericho/Baby Eagle Steel Full-Size w/rails R, Jericho/Baby Eagle Steel Mid-Size w/rails R, Kimber Solo, Ruger LC9, Ruger SR9, Ruger SR9C, S&W 59, S&W 69, S&W 99, S&W Governor, S&W M&P 4.25", S&W Sigma, Sig P225, Sig P226, Sig P228, Sig P229, Sig P250 , Sig P290, Sig P320, Sig Pro 2022, Sig-1911-MAX, Springfield XD 3", Springfield XD 4", Steyr M-A1, Tanfoglio Stock II, Taurus 24/7 4", Taurus 24/7 5.25"